Anyone who writes intentionally, knows the challenge of facing the blank page. The first sentence, at least for me, is always the hardest. After struggling considerably with my first draft, I was struck this morning by a message that arrived out of the blue. “You have to adjust the lens.” At that moment, an image took charge of my imagination. And I surrendered. When seated at my kitchen table, a large picture window frames the view to the East from inside my unassuming little house that is perched on the edge of what once was a cultivated field. That view spans an aging pasture, now dotted with adolescent spruce, white and red pine seedlings, and a patchwork of elder brush and red willow. It works its way across to the nearby black spruce and tamarack swamp which dominates much of the countryside where I live. A pair of end tables, situated just below the sill, host a collection of books of acquired value, toys accumulated from past stages of my grandson’s ever changing fancies, a deep purple African violet that, at age 25 years, seems to bloom more abundantly than ever! Beside it is a pair of binoculars. They are a permanent fixture in my world, frequently picked up to scan the landscape, sometimes triggered by a movement behind a distant bush, or a black dot soaring high across the sky. Sometimes those binoculars are the next best thing to a telescope, granting us a chance to see more detail on the surface of an amazing moon. They are most often used by my spouse and “matey”, John, a woodsman by profession and an avid hunter, both of which helped develop his keen eye! Often, I’ve responded to his call to “come quick” for a look at critter visitations that a National Geographic photographer might wait days, or months, to see. In that moment, he hands me the binocs while habitually directing me to “adjust the lens”. I know what he wants me to do and that I must do it quickly! I understand that if I want to see what he sees I must be very adept. But more often than not, the subject has passed out of sight by the time I get it just right. This morning, I realized how perfect this metaphor is for my life. The pressure is high to get it right, and do it quickly! But unlike those fleeting sightings of one of life’s moments of wondrous perfection, more often we have experiences heard or read about. We are forced to be satisfied by the enviable experiences of others. I talk myself into accepting what I did not see as “just the way it is”. Part of having a good life is to be satisfied, not in the encounter itself but in the vicarious, and then to find the joy of reflecting upon it — appreciation for both the anticipated and the actual, the seen and the unseen, the real and the imagined. Some call this the miracle of human consciousness. In our excitement with spoken language, and the lingering pleasure of language that is thought out, crafted and written, we humans are so fortunate. Like grabbing the binoculars, getting them up to our eyes and adjusting the lens, the ability to share thoughts and experiences through our stories can be as exciting as spotting those two wolves stopping to catch their breath after an unsuccessful chase, that bear thrashing an ant hill, or a flock of circling sandhill cranes, just fleeting specks overhead on their spring migration. And like those binoculars, even when I think I’ve gotten faster and more refined with my touch on that tiny black dial, too often it still won’t be “just right”. Frustrated at my awkwardness, it occurs to me that this may always be a challenge, because “vision” is always changing. To know and accept this requires patience, persistence, and a strong desire to keep trying to get it “just right”. So, every few weeks, I’ll be trying to get this writing thing “just right”. At least right enough so we can share the extraordinary found in the “ordinary”, some questions mixed with some “certainties”, and some good news to balance out the “bad”. I’ll be watching and listening, and adjusting the lens. I can’t wait to discover what’s out there! 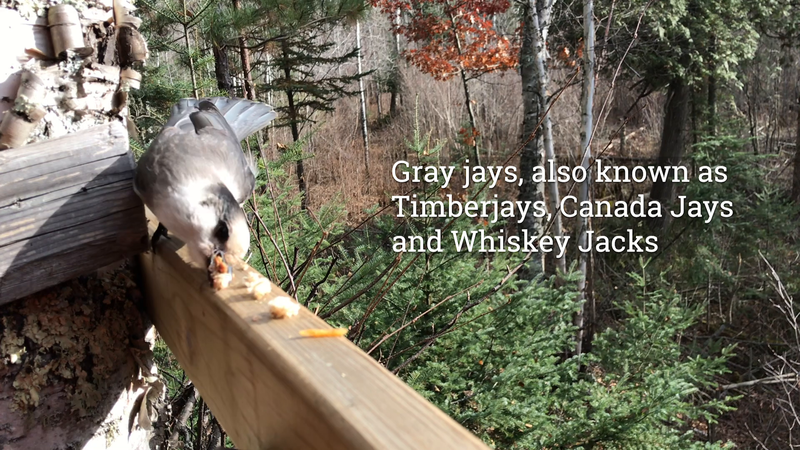 Editor’s Note: Kathleen is joining the regular Timberjay columnist lineup and we’re glad to have her on board. She lives in Linden Grove.